Need a business loan with straightforward, affordable daily repayments? A Merchant Cash Advance, also referred to as a Business Cash Advance is a new unsecured business loan alternative. It’s a short-term cash injection between £3,000 and £300,000 which works with you to support your cash flow and business needs. Unlike traditional finance products, there is no APR* or hidden costs! You only agree on a simple, comfortable cost that is paid back, typically over 6 to 9 months as a fixed percentage of your future credit card and debit card sales…simple! 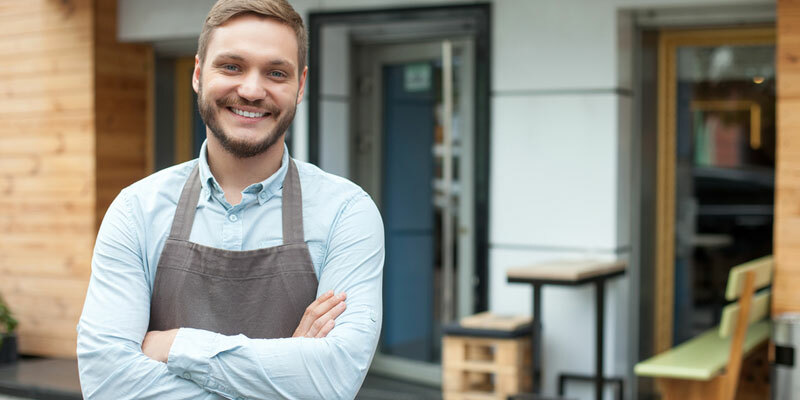 A Merchant cash advance is the UK’s most exciting funding solution for small business and SME’s, praised by the government as an alternative funding option for UK businesses it has already helped thousands of people. It’s designed to work alongside your busy and quiet periods for example if you have a slow month on your card sales then you only pay back the agreed percentage of those sales – keeping your repayments in line with your cash flow through the good times and bad. The unsecured business loan alternative is repaid only when you make sales on your card terminal (PDQ) machine. There are absolutely no hidden costs or fees, the application process to get approved for our merchant cash advance is a simple online form giving you a free no obligation quote. Call the MLA Team from a land line on 0800 133 7868 or 0330 223 3950 from a mobile phone. With flexible repayments and no fixed term, a merchant cash advance can offer many benefits over traditional bank loans and other forms of business finance. There’s no need to change your existing card terminal (PDQ) machine, everything stays the same. You automatically repay when you sell to your customers – There’s no fixed payment terms. The advance is unsecured, so your business assets are safe. Any hard cash that your business takes is yours – You only pay back on card sales. You agree a simple, comfortable cost that you pay back as a fixed percentage of your future credit and debit card sales. We can process your application 24 hours a day, so if you are struggling for the time from your busy business schedule you can apply when it’s convenient. A merchant cash advance is a relatively new product to the UK financial market but it offers an array of exciting features for businesses operating in retail, hospitality and leisure. In fact, any business that accepts debit and credit card payments via a card terminal could qualify for a merchant cash advance. The perfect product to help grow your business. You can apply for a merchant cash advance if you accept payments for goods and services via a card machine. The amount of funds available to you is aligned with your average monthly turnover of card transactions. The percentage of each sale taken as a repayment along with a manageable pricing structure will be tailored at the outset of the arrangement to suit the needs of your business. We just need a few basic details to provide you with your free no-obligation quote. If your business receives payments through a (PDQ) card terminal machine, you could qualify for a merchant cash advance up to £300k. The amount you can borrow is determined by your monthly average card sales and overall volume. Whether it’s to buy more stock, invest in new equipment or maybe just a cash injection, a merchant cash advance has helped thousands of business customers across the UK get the access to funding they need. After approval, the money could be transferred to your bank account the same day. Repaying is straightforward and automatic. You agree a comfortable, fixed percentage (usually 10-20%) of your future card sales until the advance is repaid. It couldn’t be simpler! It’s flexible, so in slow times, you pay back less and in good times you pay back faster. All your hard cash income is left alone. A merchant cash advance is an unsecured cash injection with no upfront fees and no fixed payment terms. You simply and automatically repay a percentage rate of future card takings within a short timeframe, typically nine to twelve months. With no fixed repayment terms and no late penalties – repayments are only made when a card transaction is processed – you will therefore repay faster when you’re busy and less when business is quiet. Every business is unique, and it is the same with a Merchant Cash Advance. Pricing is tailored to your business and your performance. To get a feel for the cost, take a look at our example below. Remember, apply now and receive an instant, no obligation quote! A retail business owner borrows £10,000 for refurbishment and agrees to pay back £12,000. On average, the business generates £20,000 per month on card transactions. The owner agrees that 10% of future card processing sales will be used to pay back the advance. The business would pay back £2,000 per month and it would take approximately six months to repay the cost of the amount. ¹ This is an average figure and includes the total cost of the advance. Pricing is tailored specifically to your business needs, and amounts can change based on your performance. Costs will be clear before signing into the agreement. Get a free, no-obligation quote today – it only takes a minute! What is a factor rate and how is it calculated? Are there any fixed monthly repayments? Will the application affect my credit rating? What’s the difference between a merchant cash advance and a business cash advance? What if I process payments online? Why is there no APR? The amount you can borrow will depend on your average monthly card takings. So, the more you turnover through your card machine, the more you will be able to borrow. Let’s say for example your business averages £5,000 in sales per month on your PDQ machine or merchant gateway. You could qualify for funding to the same amount released via a merchant cash advance into your bank account. In some cases and dependent on risk analysis, the funding offer could equate up to 150% of your monthly card turnover meaning you could receive a larger sum. The amount of credit as a lump sum available is generally between £3,000 and £300,000, and in some cases, we have helped with higher amounts. A merchant cash advance is a short-term funding product. The time it takes for you to pay it back is based on your business performance from your credit card payments or debit card payments. When sales are slow, you pay back less, and in good times you pay back faster. Typical repayment timeframes are 6 to 9 months, but can be as short as 4 months and as long as 18 months. Once your business has a positive repayment history, you may be able to top-up your funding, increasing your borrowing amount and extending the term. This will depend on your business affordability and repayment history. To qualify, your business must be a limited company, partnership or sole trader based in the United Kingdom. You must also accept card payments from customers. This can be via a PDQ machine or online sales through your ecommerce merchant gateway provider. There are many businesses in various industries that qualify for a business cash advance and all process card payments from their customers. Industry sectors such as hospitality and retail, shops, restaurants, hotels, cafes, MOT tyres and garages are typical businesses that we often see. Many online e-commerce retail businesses also use this type of commercial finance. Ideally, your business must be trading for approximately three months and turning over more than £2,500 in card sales a month. Don’t worry if you can’t meet this requirement; we’ll do our best to work with you to find a solution. Every business is unique, so pricing is unique. The cost of this type of commercial finance is clear and straightforward as it is calculated using a factor rate which gives you a total repayment figure. A repayment percentage of each future sale by card is repaid to the lender until the loan amount is paid off in full by the business owner. There are no other hidden charges or costs associated with this type of borrowing. To help you estimate how much it will cost, we have created a merchant cash advance calculator. It is intended as a guide to help you estimate the costs associated with this type of business funding option. The calculator allows you to add in the amount you are looking to borrow, the lender factor rate, your monthly card turnover and what percentage of each sale you are comfortable to repay back to the lender. A lender uses a factor rate to determine the total repayment value of the borrowing. A factor rate is a simple calculation whereby the amount of funding required is multiplied by the factor rate figure (usually between 1.1 and 1.5). As an example, your business borrows £5,000 based on your sales volume, and the lender sets the factor rate at 1.25. (£5,000 x 1.25 = £6250 total repayable / total cost of finance). The factor rate is calculated depending on your business trading performance, the sector that it’s in and other risk elements associated with the business. By using our service, you will receive quotes from lenders who offer competitive factor rates, giving you access to the best rates on the market. There are no fixed monthly repayments. It’s not a traditional cash loan, so there’s no fixed term and no APR. You only pay back a small percentage of your future credit and debit card sales until the advance is repaid. It works with seasonal businesses too where card takings can fluctuate dramatically. We do not perform any credit checks during the application process, but the provider you have been placed with may perform credit scoring from a major credit reporting bureau. A missed or late payment may affect your credit score. They are exactly the same product and offer nothing different in terms of funding options, they just use different industry terms. Yes, it works in exactly the same way for ecommerce businesses as it does for businesses who use standard PDQ merchant terminals. If you use an online debit and credit card processing provider such as Stripe, Worldpay Online, Shopify Payments, Paypal, SagePay, Amazon Pay, Payoneer or any other online payment gateway, you can apply for a cash advance. It’s not a traditional unsecured business bank loan, so there’s no fixed term and no APR. Merchant loan advance providers measure their fees as a factor rate. The advance amount you receive is multiplied by the factor rate to determine the total amount you will pay back. You only pay back a small percentage of your future credit and debit card sales each day until the loan has been settled, meaning in slow times, you pay back less, and in good times you pay back quicker. Our providers will have their policies for non-payment, and therefore the customer must check the terms and conditions of the provider they use. Late or non-payment may result in default charges, fees and extra charges. If you have any problems making a payment, you should contact the provider directly. We are not involved with the collection practices. If you have any problems making a payment, you should contact the provider directly. If you fail to resolve with the provider directly, then your account may be referred to a collections agency. We are not involved with the decision to renew your loan. Our providers have their specific renewal policies. We encourage you to read the loan agreement terms and conditions specified by the provider we match you with carefully. If you need to renew your loan, please contact the provider directly. Is your business ready for a Merchant Cash Advance?